This article is about the U.S. think tank. For the NATO body, see North Atlantic Council. The Atlantic Council is an American think tank in the field of international affairs. Founded in 1961, it provides a forum for international political, business, and intellectual leaders. It manages ten regional centers and functional programs related to international security and global economic prosperity. It is headquartered in Washington, D.C.. It is a member of the Atlantic Treaty Association. The Atlantic Council was founded with the stated mission to encourage the continuation of cooperation between North America and Europe that began after World War II. In its early years its work consisted largely of publishing policy papers and polling Europeans and Americans about their attitudes towards transatlantic and international cooperation. In these early years its primary focus was on economic issues—mainly encouraging free trade between the two continents, and to a lesser extent to the rest of the world—but it also did some work on political and environmental issues. Although the Atlantic Council did publish policy papers and monographs, Melvin Small of Wayne State University wrote that, especially in its early years, the Council's real strength lay in its connections to influential policy makers. The Council early on found a niche as "center for informal get-togethers" of leaders from both sides of the Atlantic, with members working to develop "networks of continuing communication". The Atlantic Council also works outside Europe and the U.S. It was among the first organizations advocating an increased Japanese presence in the international community. Its Asian programs have expanded since 2001 as a consequence of the war in Afghanistan leading to the opening of its South Asia Center and Program on Asia. Climate change, and coordinating with India and China on these issues, were also a factor in this development. In February 2009, James L. Jones, then-chairman of the Atlantic Council, stepped down in order to serve as President Obama's new National Security Advisor and was succeeded by Senator Chuck Hagel. In addition, other Council members also left to serve the administration: Susan Rice as ambassador to the UN, Richard Holbrooke as the Special Representative to Afghanistan and Pakistan, General Eric K. Shinseki as the Secretary of Veterans Affairs, and Anne-Marie Slaughter as Director of Policy Planning at the State Department. Four years later, Hagel stepped down to serve as US Secretary of Defense. Gen. Brent Scowcroft served as interim chairman of the organization's Board of Directors until January 2014, when former ambassador to China and governor of Utah Jon Huntsman Jr. was appointed. Former NATO Secretary General Anders Fogh Rasmussen called the Council a "pre-eminent think tank" with a "longstanding reputation", and former U.S. Senator Richard Lugar (R-IN) noted that the Council is "held in high esteem within the Atlantic community". In September 2014, The Atlantic Council hired Call of Duty: Black Ops series director Dave Anthony as a nonresident senior fellow. In 2017, Tom Bossert, previously a Nonresident Zurich Cyber Risk Fellow at the Atlantic Council's Cyber Security Initiative, was appointed Homeland Security Advisor to the Trump administration. The Atlantic Council has, since its inception, stated it is a nonpartisan institution, with members "from the moderate internationalist wings of both parties" in the United States. Despite its connections, the Council is by charter independent of the U.S. government and NATO, a registered 501(c)(3) nonprofit organization. In September 2014, Eric Lipton reported in The New York Times that since 2008, the US organization had received donations from more than twenty-five foreign governments. Lipton reports that major donor Bahaa Hariri complained to the Council about the founding head of the Rafik Hariri Center for the Middle East calling the overthrow of Mohammed Morsi in Egypt a military coup. Four months later, the founding head resigned from her position. Concerned that scholars from the organization could be covertly trying to push the agendas of foreign governments, legislation was proposed in response to The New York Times reporting requiring full disclosure of witnesses testifying before Congress. In 2015 and 2016, the three largest donors, giving over $1 million USD each, were US billionaire Adrienne Arsht (executive vice chair), Lebanese billionaire Bahaa Hariri (estranged brother of Lebanese Prime Minister Saad Hariri), and the United Arab Emirates. The full list of financial sponsors includes many military, financial, and corporate concerns. The Atlantic Council creates a meeting place for heads of state, military leaders, and international leaders from both sides of the Atlantic. Recently, the Council hosted former NATO Secretary General Anders Fogh Rasmussen's first major U.S. speech, in which he discussed issues such as Afghanistan, Russia, and the broader transatlantic relationship. Members of the U.S. Congress have also appeared, including Senator Richard Lugar and Secretary of State John Kerry. The Council hosts events with sitting heads of state and government, including former Georgian President Mikheil Saakashvili, Ukrainian Prime Minister Arseniy Yatsenyuk, and former Latvian President Vaira Vīķe-Freiberga. The Council has hosted military leaders from both sides of the Atlantic as well. The Brent Scowcroft Center on International Security has since January 2007 held periodic events known as the Commanders Series where it invites military leaders from the United States and Europe to speak about conflicts of interest to the Atlantic community. As part of the Commanders Series, American military leaders such as former General George Casey and former Admiral Timothy Keating and European leaders like former French Chief of Defense General Jean-Louis Georgelin and Dutch Lieutenant General Ton van Loon have spoken on issues such as Iraq, Afghanistan, and security threats in Asia and Africa. Its annual events include the Distinguished Leadership Awards in Washington, DC; the Future Leaders Summit; the Freedom Awards in Wroclaw, Poland; the Atlantic Council Energy & Economic Summit in Istanbul, Turkey and the Global Citizen Awards in New York City. In 2016, the Atlantic Council drew criticism from the founder of the Human Rights Foundation for its decision to award a Global Citizen Award to Ali Bongo Ondimba. Bongo declined the award amidst controversy over the 2016 Gabonese presidential election. On February 22, 2019, the Atlantic Council released its Declaration of Principles at the Munich Security Conference, outlining common values that all western liberal democracies should adhere to. Produced in response to a perceived movement toward more authoritarianism by western democracies, the declaration was signed by scores of former government officials and other experts. Launched at the 2008 Bucharest summit, the Young Atlanticist Network brings together a community of emerging leaders who share a vision of closer Euro-Atlantic cooperation based on common values. Through online tools and regular events, the Young Atlanticist Network serves as a forum for open dialogue between young Atlanticists so they can exchange their views on a range of international issues. As a meeting place, the Network serves as a stage for global leaders to address the next generation and to share the perspective on current issues. The Young Atlanticist Network also manages the Future Leaders program. The Council hosted the 2014 Future Leaders Summit on the side-lines of the NATO 2014 Wales summit. This Future Leaders Summit connected emerging leaders from NATO member countries with one another, the Alliance's current leaders, people from the international security sphere, and a global network of peers. The Program on Transatlantic Relations promotes dialogue on the major issues that will affect the evolution of the transatlantic relationship. 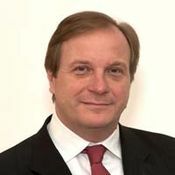 It believes that a healthy transatlantic relationship is an essential prerequisite for a stronger international system. The Council seeks to identify areas of potential cooperation and build the personal networks and mutual understanding that form the basis for an effective partnership. The Council's Brent Scowcroft Center on International Security examines U.S. relationships with allies and adversaries in an effort to build consensus around policies that contribute to a more stable, secure and well-governed world. The Global Business and Economics Program works to build upon and strengthen the already deep economic integration between Europe and the United States as well as promote Transatlantic leadership in the global economy. Bringing together business leaders, government policy makers, and economic experts, the program explores transatlantic and global issues of importance to the U.S. and European business community. Under the leadership of Shuja Nawaz, the South Asia Center is the Atlantic Council's focal point for work on Afghanistan, Pakistan, India, Bangladesh, Sri Lanka, Nepal and Bhutan as well as on relations between these countries and China, Central Asia, Iran, the Arab world, Europe and the U.S. As part of the Council's Asia program, the Center seeks to foster partnerships with key institutions in the region to establish itself as a forum for dialogue between decision makers in South Asia, the U.S. and NATO. These deliberations cover internal and external security, governance, trade, economic development, education and other issues. The Energy and Environment program explores the economic and political aspects of energy security and supply, as well as international environmental issues. It promotes open access and clean air and offers policy recommendations to meet developing countries' needs through increased capital, technology and know-how in the energy and water supply sectors. The Atlantic Council's Dinu Patriciu Eurasia Center fosters dialogue among regional leaders, as well with counterparts from key neighbors and global leaders. Combining an understanding of Eurasia's history with knowledge of politics, economics and energy, the Center provides research and advice to governments and businesses. It seeks to promote an agenda of regional cooperation and integration based on shared values and common interest in a free, prosperous and peaceful future. The Africa Center was established in September 2009 with a mission to help transform U.S. and European policy approaches to Africa by emphasizing the building of strong geopolitical partnerships with African states and strengthening economic growth and prosperity on the continent. The Rafik Hariri Center for the Middle East is named for a billionaire and former prime minister of Lebanon and father of one of its major donors. It seeks to produce analysis of the forces transforming the region, as well as policy recommendations for the United States and Europe about how to promote closer and more productive relations with the region. The Adrienne Arsht Latin America Center promotes a stronger partnership between Latin America, the United States, and Europe based on shared values and common strategic interests, and engages its network of political, business, and NGO entrepreneurs to develop ideas for policy and business leaders seeking solutions to regional and global challenges. The Adrienne Arsht Center for Resilience is the Council's newest center and was established in April 2017. The Center works to build resilience – the ability to prepare for, absorb, and recover from potential challenges – into our societies and our systems. It develops pragmatic recommendations to put ideas into practice – helping governments, cities, businesses and other leaders to identify and address challenges before they become crises. The Atlantic Council produces publications and issue briefs about global policy issues ranging from NATO's global role to energy security. ^ a b c d Small, Melvin (1 June 1998). "The Atlantic Council--The Early Years" (PDF). NATO. Retrieved 15 November 2015. ^ "Admiral Timothy Keating Event Transcript". Atlantic Council. Retrieved 15 November 2015. ^ Allen, Mike (11 February 2009). "Politico Playbook - Exclusive: Senator Hagel succeeds Gen. Jones at Atlantic Council". Politico. Retrieved 15 November 2015. ^ Howell, Tom (16 January 2014). 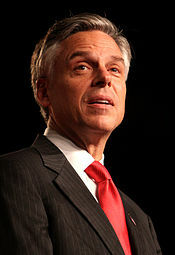 "Jon Huntsman tapped as Atlantic Council chairman". The Washington Times. Retrieved 16 January 2014. ^ Drennan, Justine (September 22, 2014). "Call of Duty: Star Video Game Director Takes Unusual Think Tank Job". Foreign Policy. Retrieved 15 November 2015. ^ "Melvin Small, "The Atlantic Council — The Early Years," page 21 (Wayne State University: June 1, 1998)". Retrieved 26 November 2018. ^ a b Eric Lipton; Brooke Williams; Nicholas Confessore (6 September 2014). "Foreign Powers Buy Influence at Think Tanks". New York Times. Retrieved 31 January 2015. ^ Eric Lipton (September 17, 2014). "Proposal Would Require Think Tanks to Disclose Funding by Foreign Governments". New York Times. Retrieved 9 February 2017. ^ Erik Lipton; Brooke Williams (August 8, 2016). "How Think Tanks Amplify Corporate America's Influence". New York Times. ^ Council, Atlantic. "Board of Directors". Retrieved 26 November 2018. ^ Rym Momtaz (December 4, 2017). "ANALYSIS: How the US helped to defuse Saudi Arabia's dangerous gambit with Lebanon". ABC news. ^ "2014 Future Leaders Summit". 1 September 2014. Retrieved 26 November 2018. ^ Thor Halvorssen; Alex Gladstein (19 September 2016). "Why Did the Atlantic Council Even Consider Giving African Dictator Ali Bongo Ondimba a 'Global Citizen Award'?". Foreign Policy. Retrieved 28 December 2018. ^ Emma Farge (27 September 2016). "Disputed Gabon poll may harm 'global citizen' Bongo". Reuters. Retrieved 28 December 2018. ^ Frederick Kempe (30 September 2016). "The Atlantic Council Did Not Give a Global Citizen Award to Gabonese President Ali Bongo Ondimba". Foreign Policy. Retrieved 28 Dec 2018. ^ a b "Young Atlanticist Program". Atlantic Council. Archived from the original on 2 December 2014. Retrieved 9 December 2014. ^ "Transatlantic Relations Program". Atlantic Council. Archived from the original on 2 December 2014. Retrieved 9 December 2014. ^ "Brent Scowcroft Center". Atlantic Council. Retrieved 9 December 2014. ^ "Global Business and Economics". Atlantic Council. Retrieved 9 December 2014. ^ "South Asia Center". Atlantic Council. Retrieved 9 December 2014. ^ "Energy and Environment". Atlantic Council. Archived from the original on 24 November 2014. Retrieved 9 December 2014. ^ "Dinu Patriciu Eurasia Center". Atlantic Council. Retrieved 9 December 2014. ^ "Africa Center". Atlantic Council. Retrieved 9 December 2014. ^ "Rafik Hariri Center for the Middle East". Atlantic Council. Retrieved 9 December 2014. ^ "Adrienne Arsht Latin America Center". Atlantic Council. Retrieved 9 December 2014. ^ "Adrienne Arsht Center for Resilience". Atlantic Council. Retrieved 29 March 2018. ^ "Healey, Jason". Atlanticcouncil.org. Retrieved 2014-04-22. ^ "Publications". Atlantic Council. The Atlantic Council. Retrieved 9 December 2014. Atlantic Council of the United States records, 1950-1986 at the Hoover Institution Archives. 1961 establishments in Washington, D.C. Think tanks based in Washington, D.C. This page was last edited on 2 April 2019, at 20:14 (UTC).